If you’re the Kansas City Royals, it’s going to be tough to top last year’s World Series championship. But with events like Scout Day at the K, the 2016 season is off to a pretty great start. On April 10, nearly 12,000 Scouts, Scouters and family members packed Kauffman Stadium for the annual confluence of Scouting and baseball. 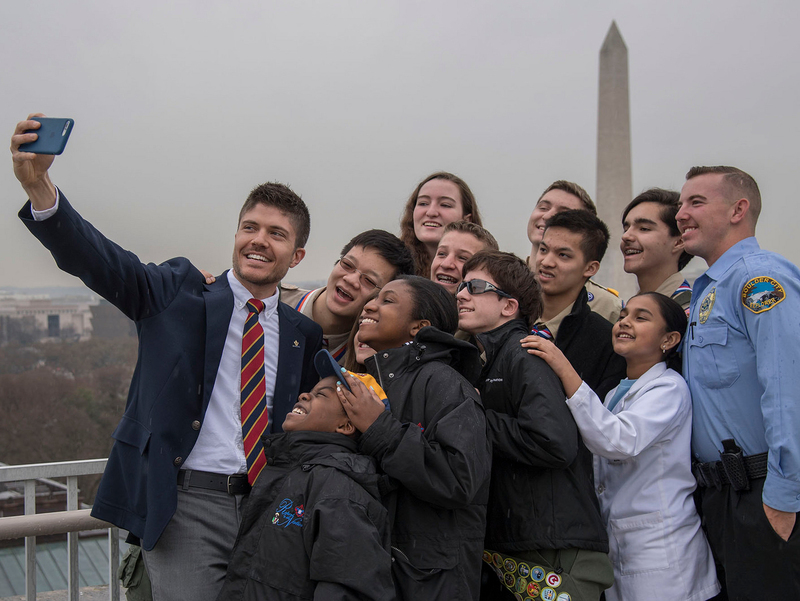 The Heart of America Council calls it one of the largest Scouting events in the country, and with Scouting families filling nearly one-third of the stadium’s seats, it’s tough to argue. A crowd like that makes an impression that helps showcase the fun and adventure of Scouting to the entire Kansas City community. The Heart of America Council also used the occasion to publicly honor its Distinguished Eagle Scout Award recipients: William Esry, Chuck Hoffman, the Rev. Roger Jackson and Zachary Shafran. The award — and Kauffman Stadium itself — are named for Distinguished Eagle Scout Ewing M. Kauffman. As you’d expect when Scouting’s involved, the day also included service to others. The council teamed up with Harvesters Community Food Network for a canned-food drive, and anyone who brought a can took home a patch. Scouts collected more than 3,000 pounds of food to help feed the hungry. Many councils across the country align with local sports teams for a Scout Day, but the Heart of America Council and Kansas City Royals offer one of the best. Thanks to Matt Armstrong of the Heart of America Council for the story idea and photos.